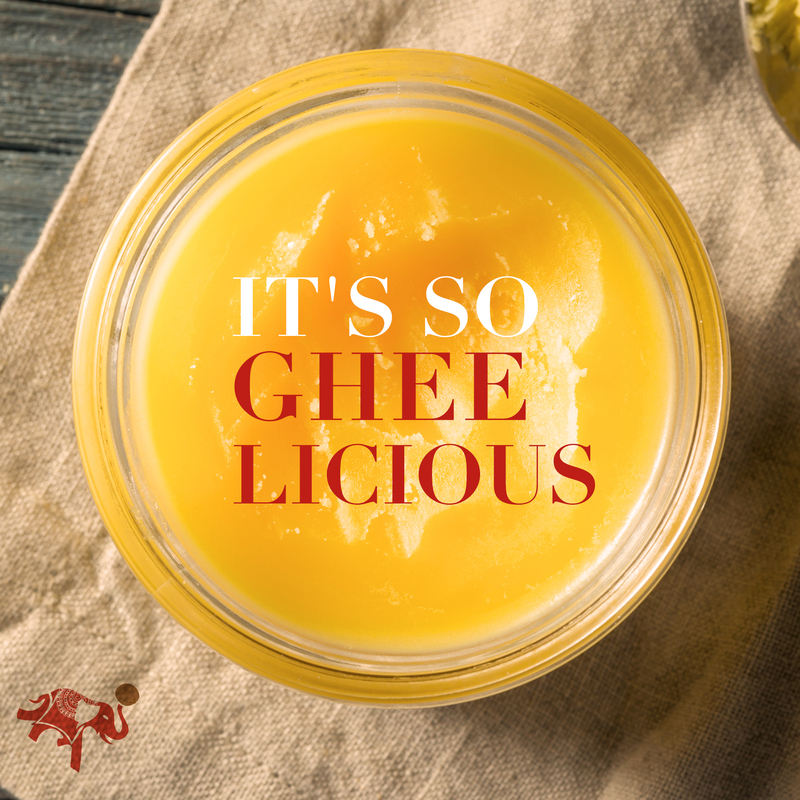 Kelapo Ghee tastes like butter because believe it or not, it’s made from real butter! You can use it the exact same way you would use traditional butter! You can bake, sauté and practically cook anything with Kelapo Ghee. To share our love for Kelapo Ghee we’ve decided to share 3 #gheelicious recipes for snacks! These are super easy to make and perfect to make together with the kids. You can decorate them with different sprinkles or create designs with icing once they’ve finished baking. In a bowl add your Kelapo Ghee and powdered sugar, and with a handheld mixer mix the ingredients together until they’re fluffy and it gets pale. Next, add the eggs and continue to mix. Gently pour in the flour and, slowly mix together. Finally, add the vanilla extract and salt. Mix well until it forms into dough. The dough may feel sticky but will hold the shape once formed into a ball. Place the dough on a plastic wrap and flatten it into a rectangular shape about ¼” thick. Place the dough into your fridge and leave it there for about 30 minutes. Once your dough is ready, preheat your oven to 350 degrees and line a baking sheet with parchment paper. Set your dough on the counter and gather the cookie cutter of your choosing! If you’d like to add sprinkles, then decorate your cookies before putting them into the oven. Bake for about 6-8 minutes. Take note that the cookies will be soft once taken out of the oven but let them sit for about 15-20 minutes and then remove them. If you’d like to decorate with icing, now’s your chance! This delicious and super easy recipe will leave you wanting for more! I mean, let’s be real, who doesn’t love Nutella? If you have a blender then combine all the ingredients and mix until the batter is completely smooth. You’ll need an 8-inch frying pan to make these crêpes. Spray the Kelapo Ghee Cooking Spray on the pan and pour about ¼ of the batter you made into the pan. These crêpes need to be cooked over medium-low heat. Turn the pan immediately from side to side to form an even circle, or if you have a crêpe spreader you can easily distribute the mixture in an evenly circle. Cook for about 1 to 2 minutes on each side, or until it’s a light brown color. Remove from the heat and stack them until they’re ready to serve. Place an entire crêpe on a plate and spread a light layer over one half of the crêpe. Now, you can add different fruits, but I chose strawberries for this recipe (bananas go great with Nutella too!). On top of the Nutella add your chopped strawberries, then fold the crêpe in half and fold it one more time to form a triangle. Feel free to top with more strawberries and even drizzle some Nutella or powdered sugar! This mix is perfect for an on the go snack option or when you have company over. You can store this recipe in a jar and serve when needed! You’ll want to preheat your oven to 325 degrees before you start prepping. In a large bowl add the rice chex cereal, pretzels, nuts, and toasted oats cereal, and set aside. In a medium sized sauce pan add the hot sauce, Kelapo Ghee, and all other seasonings. You’ll want to set the stove temperature to medium and whisk until the Kelapo Ghee is melted. Then pour this sauce over the mix you set aside. Gently stir to combine and make sure all the snack mix is coated. Lay out on a pan and bake for 45 minutes, stirring every 15 minutes. Make sure once removed from oven that you let the snack mix cool down. Feel free to serve or store in a container once finished. We hope if you try any of these recipes that you let us know your thoughts below!